Because Omniture (Google Analytics) data showed that Columbia’s search bar wasn’t being used effectively, we formed a scrum team. We did a quick sprint and, after analyzing research findings, decided on a two-part search bar. Our process, and my role in it, was highly iterative. My job, which included both UX and UI, consisted of three primary tasks. Research. 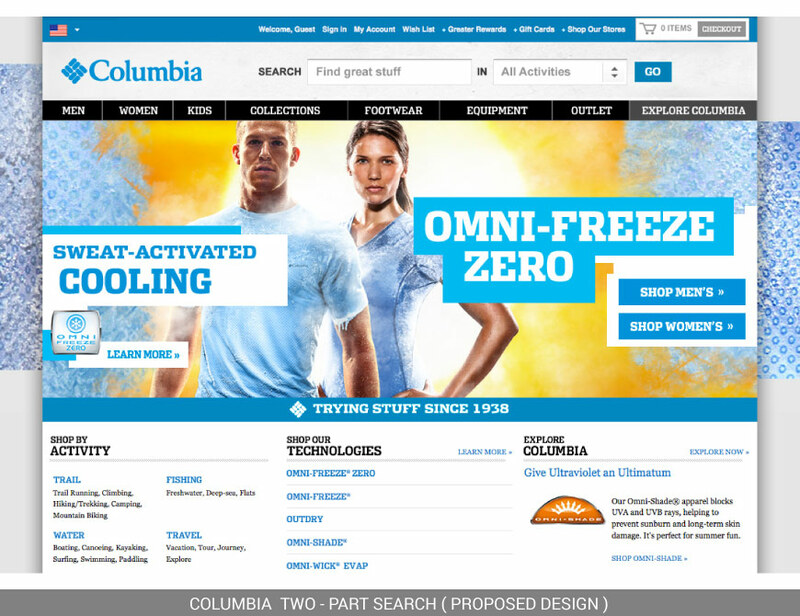 Define the elements of a good search bar experience and recommend a solution. User Testing. 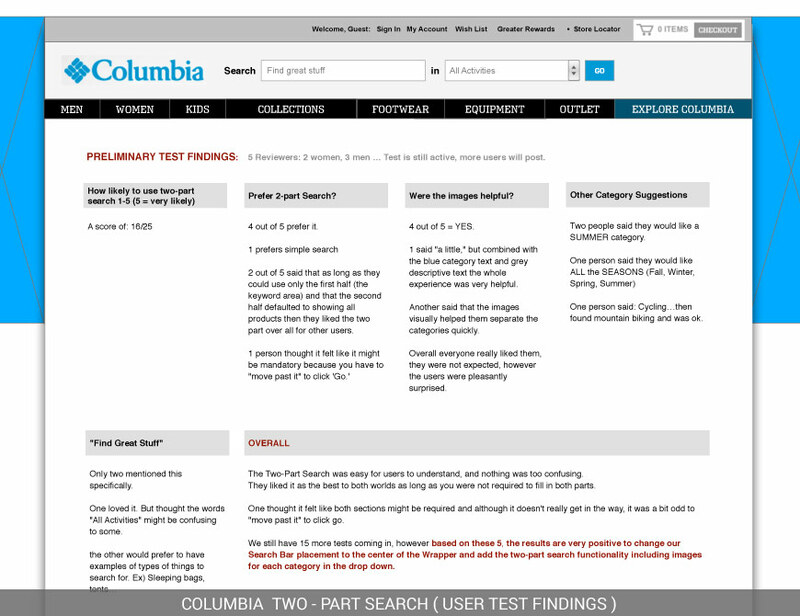 Manage usability testing, analyze findings, and respond through design. 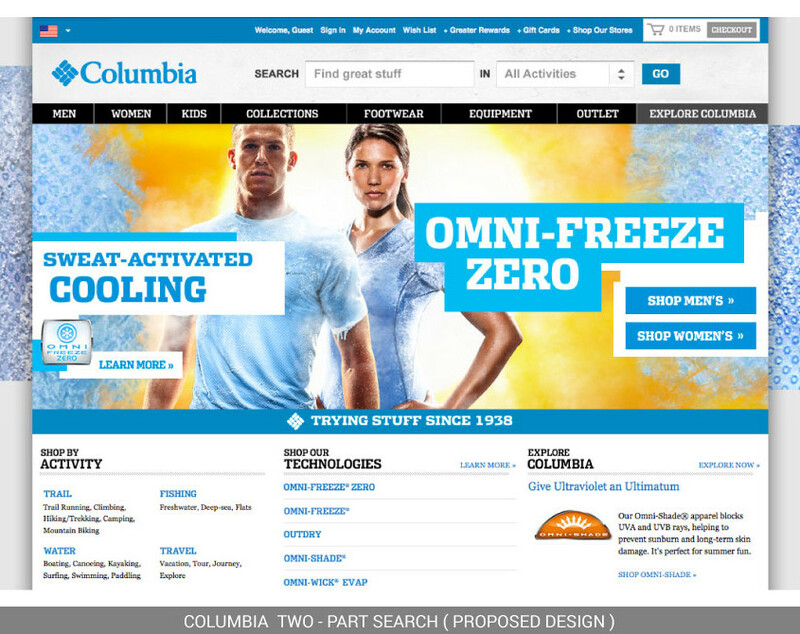 The two-part search bar performed very well in user testing—21 of 25 users were highly satisfied with it—and it was approved. 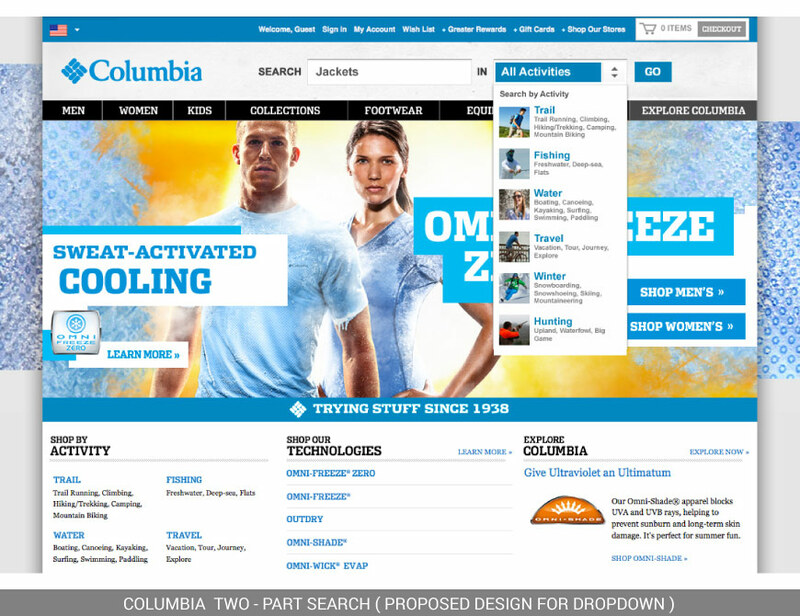 However, prior to launch, Columbia decided to redesign all sites as responsive and a hold was put on all new site improvements. Consequently, the search bar never went live.